Stunning Finishes: Work surface and included modesty panel is available in your choice of three finishes (Folkstone, Hard Rock Maple, and African Mahogany) to enhance or compliment your training rooms decor. 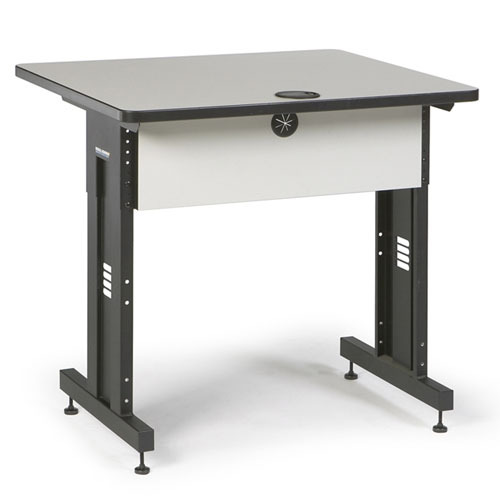 Adjustable Leg Kit: Standard leg kit allows you to adjust the height of the work surface from 27.90" to 37.90" (with caster kit), perfect for grade schools and public service centers, which cater to various age groups. 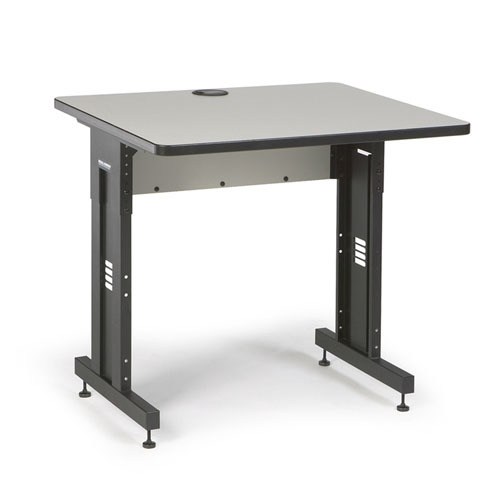 Height: Adjustable 27.90" - 34.90"